I am thinking about helmets. 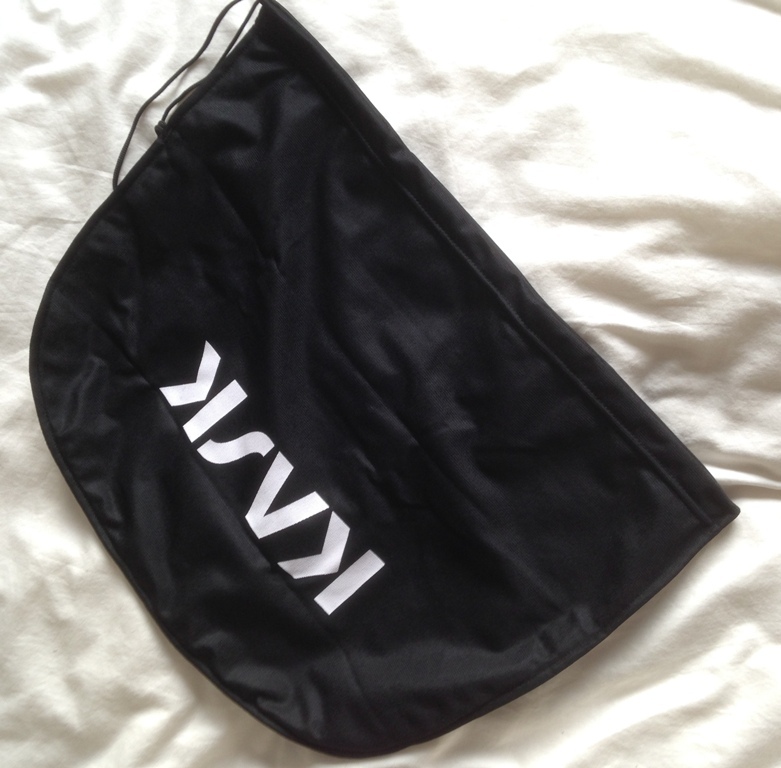 Specifically the Kask Vertigo 2.0 which is my new piece of head protection de jour. I’ve been using it for about a couple of months now (since Christmas) and here are my initial thoughts (for what they’re worth…). 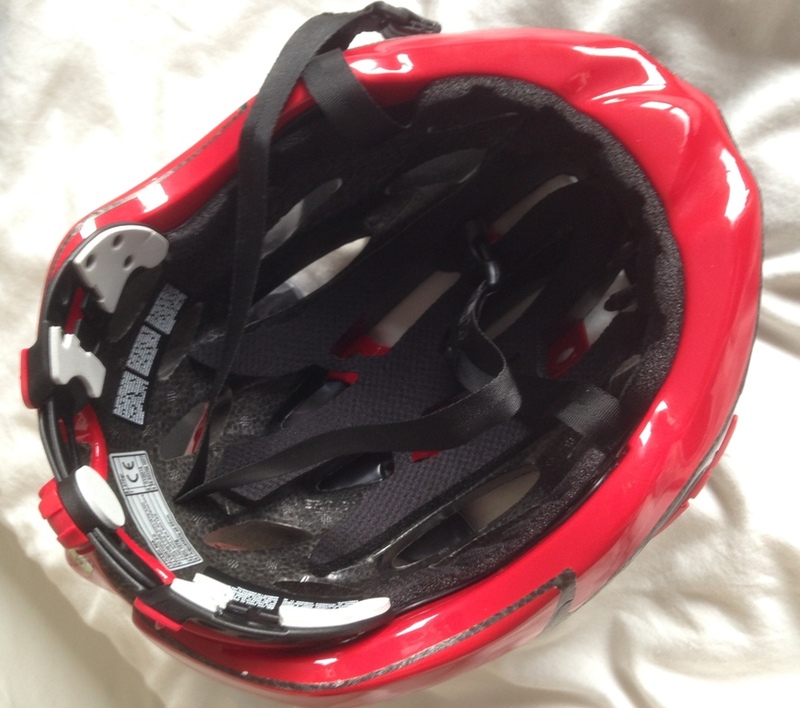 A helmet is a very personal thing (ne’er a truer word spoke). On the basis that all established manufacturers adhere to the required safety standards, I reckon most people’s selection criteria is weighted heavily towards how they think they look whilst wearing it*. Which only you can decide. Still, in this post I’ll give a brief overview of how I am finding the Kask Vertigo helmet and summarise its features, in the hope that this might be helpful as you make any helmet-buying decisions in the future. Sportive Cyclist ‘fans’ may recall that I’ve thought for some time that my helmet choice, at least in sartorial terms, has been letting me down. So I’ve been thinking of getting a new helmet (I reckon my old one is 12 years old now, which is ancient in helmet years). 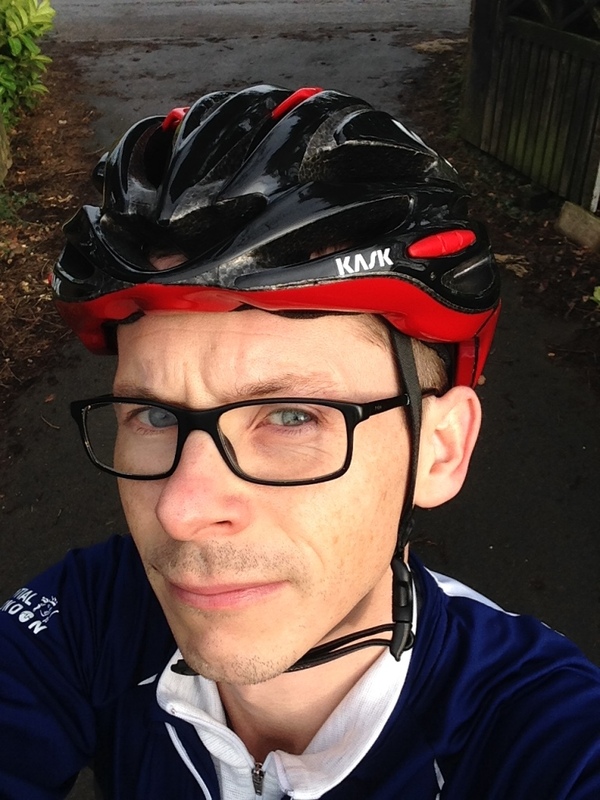 My main issues in replacing said helmet have been i) my Yorkshire-born tendency towards short arms and deep pockets, and ii) my odd shaped head (or rather, “all helmets look daft on me”). It was lucky therefore that my sister and brother-in-law took the decision out of my hands, and used their own Yorkshire-born hands to buy me a new helmet for Christmas. It was even more lucky (given that you can’t take a helmet back to the shop once you’ve bought it) that it fitted and that it didn’t make me look like a complete, er, helmet (though I’ll let you be the judge of that). It’s a ‘normal’ road helmet. Meaning that it’s not one of those tear-drop-shaped time trial helmets (that’ll have someone’s eye out). Nor is it a smooth ‘aero’ road helmet. It has vents spread across the design to allow the heat to get out and to keep the weight down. I shall just have to grin and bear the impact on my performance as turbulence above each of those vents increases drag*. It’s a road helmet though (as opposed to a mountain bike helmet). If you’re looking for a little plastic visor at the front edge of the helmet (to keep the sun off? ), you’ve come to the wrong saloon. Isn’t Vertigo, Like, A Bad Thing? Hmm, you might have a point. I’m certainly not looking to cycle up gradients where vertigo is a risk. Let’s leave this as a point that we put quietly in the drawer labelled, ‘Moot’. Every good review involves the fetishising of the box the product comes in. And some (saucy?) photos of the box being (seductively?) shed. Which looks a little bit like a tea cozy. Well it fits nicely, in the sense that it goes comfortably onto my bonce and once tightened, stays firmly in position on my head. Unlike my previous (cheapo Met) helmet), it doesn’t slip backwards and reveal the front of my skull to the elements (and any hard objects that should hit it in a crash scenario). As to looks, well I’m going to put myself out there (figuratively) and say that the Vertigo helmet looks… okay on me (a compliment as far as helmets are concerned). In an ideal world I’d look like a Tour de France rider whenever I go out on my bike. The helmet (proportions, how it sits on the head) is an important part of this look. Clearly I’ve not yet gone fully Froome-dog (completely Contador, mucho Merckx, all (whisper it) Armstrong…), but I’m happy enough that the upgrade to the Vertigo 2 is a pedal turn in the right direction. How Exactly Does It Stay On Your Head? So now we get serious. My previous (cheapo) Met helmet had those standard cloth straps. It never fit well. 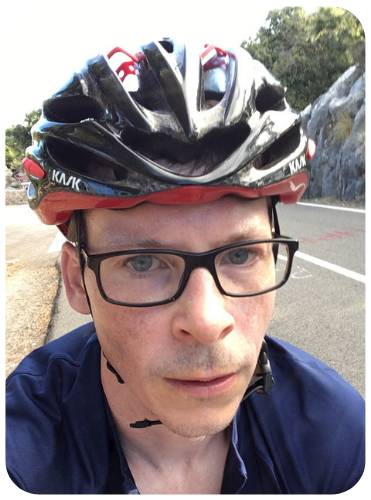 As mentioned, itt was forever sliding back up my forehead (in fairness it did have to deal with my magnificent riding speeds). 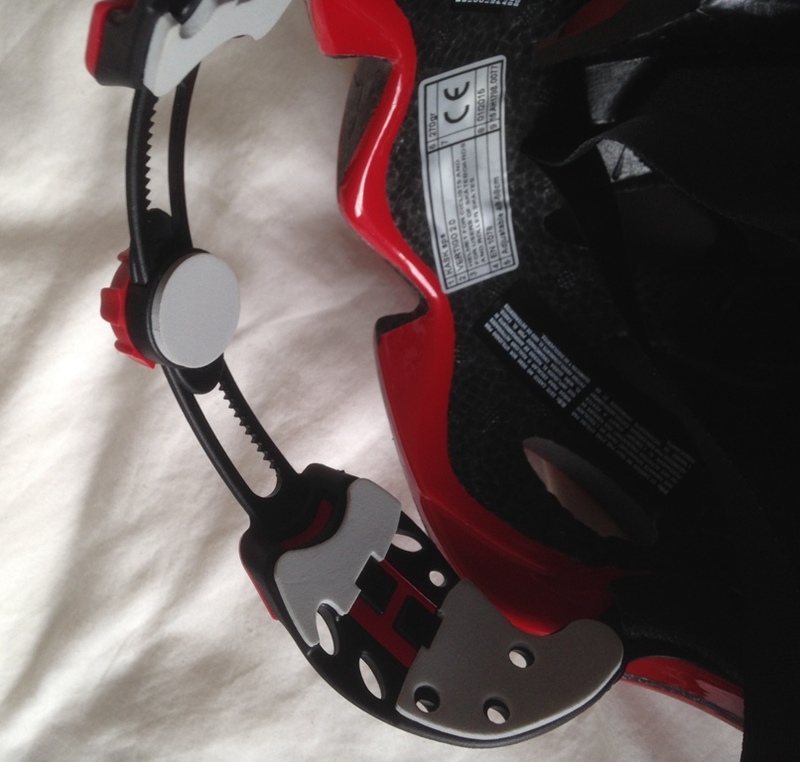 The Vertigo has an arrangement of hinged plastic straps that covers your head, right down to the back of your skull where the neck slots into it (yes, slots). Then there is a single plastic dial at the back, which you turn in order to tighten the entire plastic endo-skeleton such that it grips, and therefore stays put on, your head. The whole tightening mechanism works really well. With the straps fully loosened off, you think, ‘this doesn’t feel right, it’s never going to tighten around my oddly-shaped bonce’. 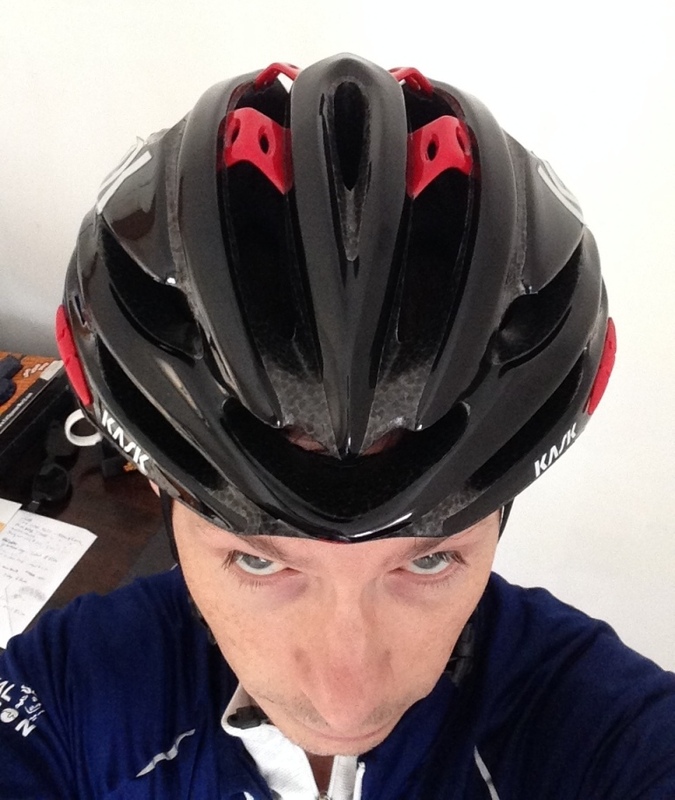 Then you start turning the dial, the straps start pulling in, and the helmet (magically I assume) just… fits. 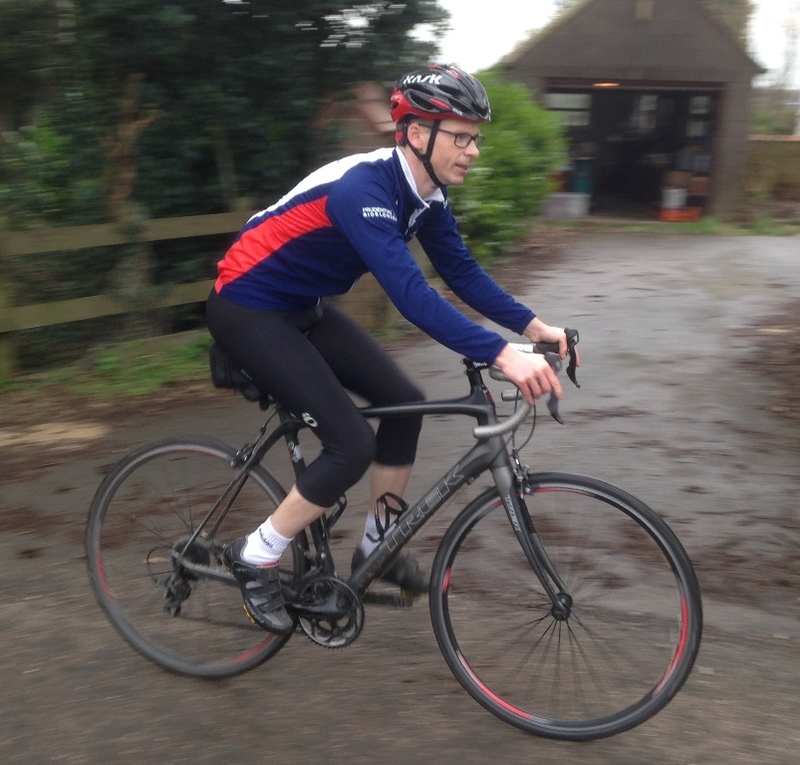 And I suddenly look like a Tour de France pro cyclist… (I do!). Yes, clever clogs, I’ve only been using the Vertigo 2.0 during the UK winter. Good ventilation is not generally helpful if you’re looking to conserve heat. Most helmets (unless you’re going full aero), have vents that allow heat to escape from the top of your head, plus they allow the manufacturer to save weight and, I assume, the cost of raw materials. The Vertigo is no different. It has vents. (As you can see in the Mushroom head photo above). I doubt I’ll have reason to assess how effective these vents are for a good few months (the challenge to conserve heat will remain until then). That said, who can really judge these things? It’s got ventilation. There’ll be days when that feels enough. There’ll be some that are so hot (chance would be a fine thing) that I’d prefer to be riding with one of those fresh-out-of-the-freezer wine coolers on my head. People people people. Do we really care about this when we’re carrying that spare Chicken Madras (or whole Indian restaurant) around our midriff? Still, I guess you don’t want to tire out your neck with a heavy helmet. I can confirm that in the multiple test rides so far, it has felt fine. And I don’t consider myself to have a particularly strong neck. 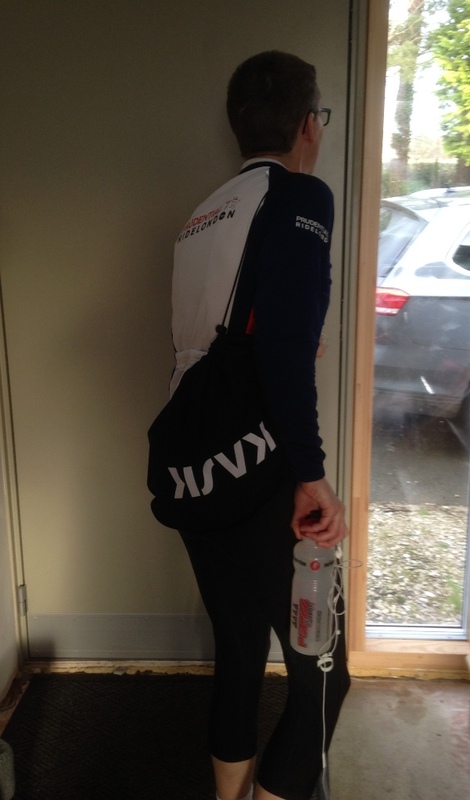 Contrary to what you might expect, I don’t have a wind tunnel here at Sportive Cyclist towers. There is therefore no scientific foundation upon which to base any assertions around aerodynamism. Despite what I said above about the vents causing drag (generally speaking, a smooth-surfaced helmet is an aero helmet), to me the Vertigo ‘looks quite aero’. I shouldn’t really try to find this out. It was a gift after all. (What!!!?! I spent way more on my Christmas present to her!). So it turns out it’s a reasonably pricey lid. At a price of around £130 in the UK and $250 in the US, the Vertigo 2 is not really a budget option. I recommend you go out there and find a generous sister and/or an equally generous brother-in-law. 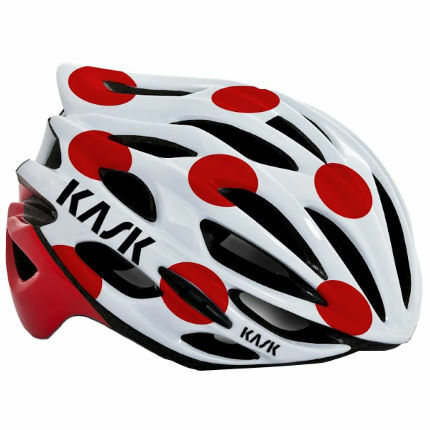 All the usual players stock Kask helmets. 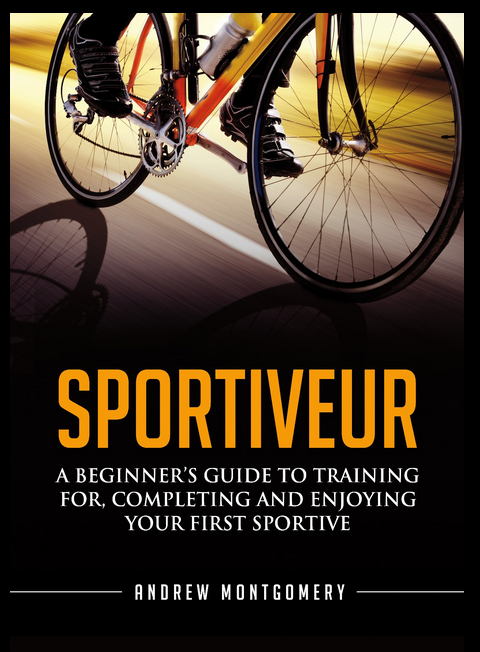 If you’re an Amazon fan, then click this link to have a look at it on there and read the reviews. Alternatively, if you like your online retailer to be a bit more bike specific, click here to see the Vertigo 2.0 on Wiggle/Jenson USA (depending where you live). 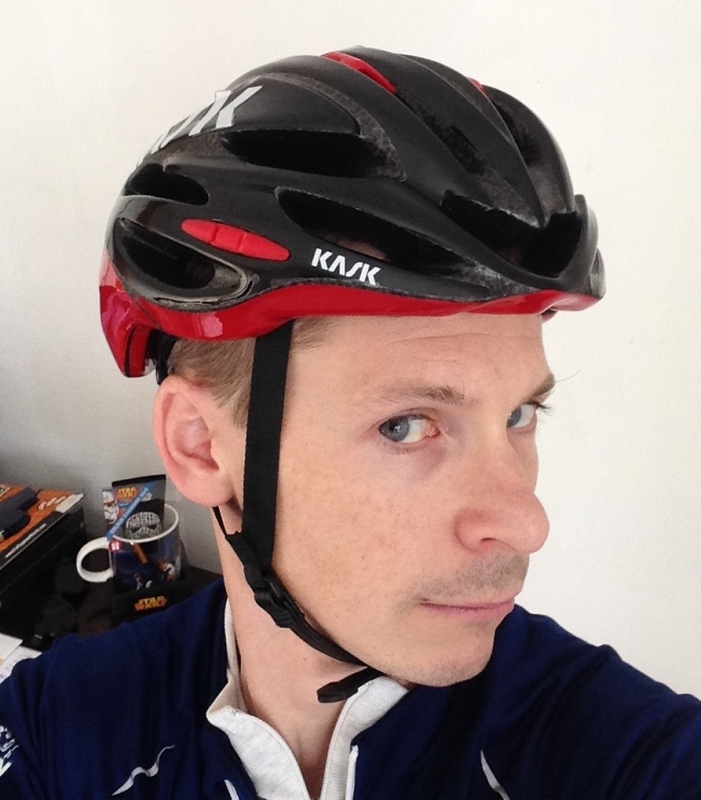 Kask do a slightly cheaper road helmet that still looks good, the Mojito. In fact, it’s the best-selling helmet on online bike store Wiggle currently, with a five star rating (okay, 4.8/5) with over 1,000 (count ’em!) reviews (which probably means it’s a good helmet…). (It also scores 4.5 stars on Amazon). You can even get a spotty one! And with that, I must away. I’m very happy with my new helmet. I’m more than happy to recommend it to others. Anyone else got any good helmet recommendations*? (Which is my favourite conversation-starter in the pub). I bought the Mojito at Christmas and I have to say it is leaps and bounds better than my Giro which is now just gathering dust. 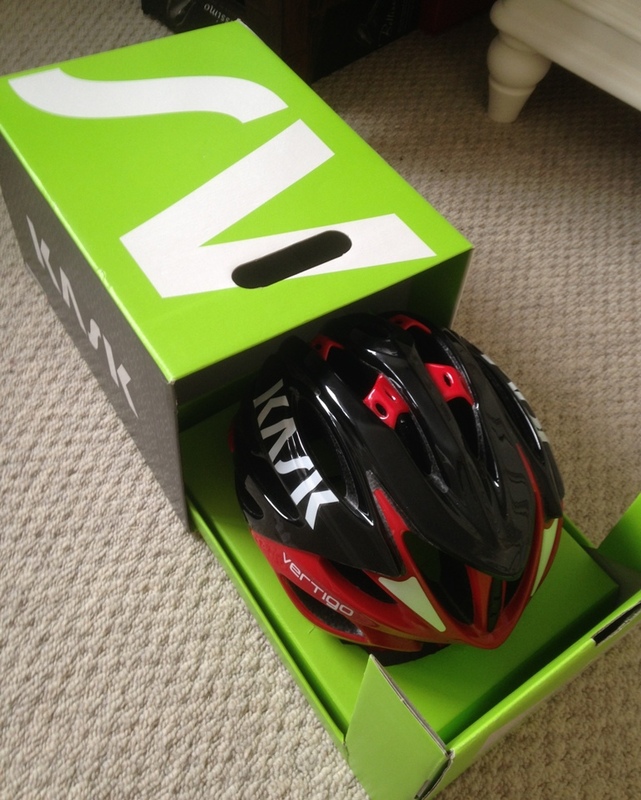 Out with the Giro (the heavyweight) and in with the Kask! !